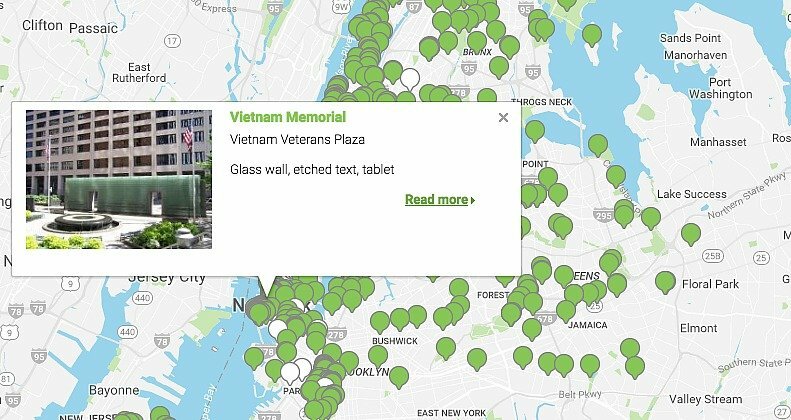 You can simply browse the map by clicking the pins (green are permanent, white are temporary), or you can search by zip code or address. 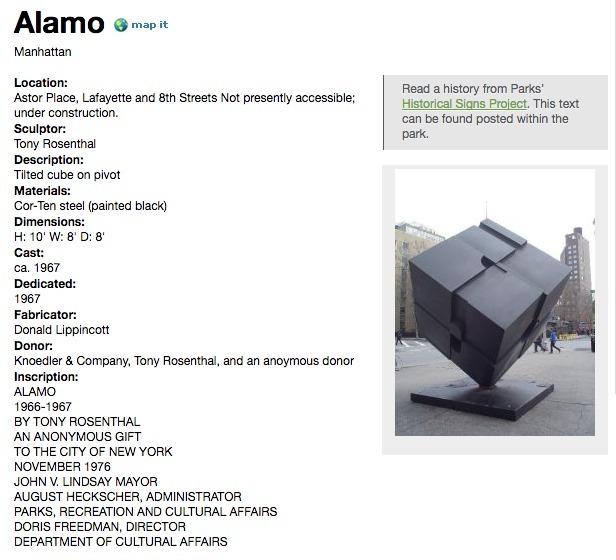 You can also search for a specific site or exhibit or peruse by keywords such as 9/11, abstract, or Civil War. Once you select your site, you’ll be directed to a page with plenty more information.